For those on the gluten-free diet, ordering a bun-less burger gets pretty lame pretty fast. 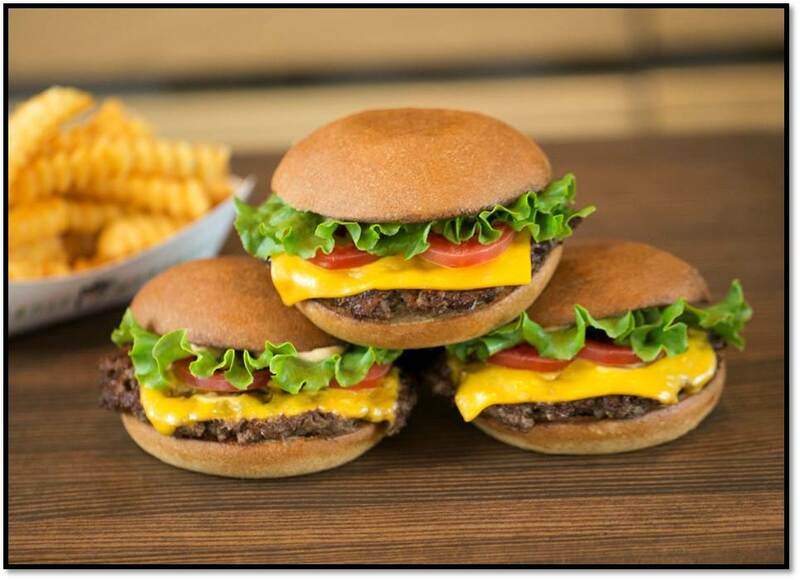 Thankfully, Shake Shack recently added gluten-free burger buns to menus at all 67 of its U.S. locations (Shake Shack’s five stadium and ballpark outposts don’t carry them). And unlike many sad, hard-as-a-rock or oddly gummy gluten-free buns, Shake Shack’s are delish—soft, sweet, bread-y—and, dare I say it, practically twins with the chain’s traditional buns. Even better: Shake Shack staff know how to safely prepare them. “Servers are trained to change their gloves to handle gluten-free buns, and the buns are stored in a separate area and toasted on the griddle to prevent cross-contact with the bun toaster, where other buns are toasted,” Edwin Bragg, Shake Shack’s Vice President of Marketing and Communications, explained via email. “Be aware that while we do everything we can to prevent cross-contact, we unfortunately can’t make any guarantees since the kitchen is fairly small. It is important that when you place the order, you alert our cashier that you have an allergy. That way we can mark it for the whole kitchen to be aware,” Bragg added. Avoid the ‘Shroom Burger, which contains breadcrumbs. Skip the fries. The oil in the fryers is filtered through the same equipment as the ‘Shroom Burger. Order frozen custard without a cone, and make sure to double-check the ingredients of the Seasonal Shakes with cashiers before ordering. Choose from these safe mix-ins: strawberry purée, peanut butter, chocolate toffee, marshmallow, fudge, caramel, chocolate sprinkles*, sea salt and chocolate sprinkles*, cherries, bananas and almonds. Drink wisely. All soft drinks and wines are gluten free, but beer options do generally contain gluten. Of course, all this burger bliss begs one question: Will hot dog buns be next? “No plans at this time, but you never know!” Shapiro says. Our fingers are crossed. See shakeshack.com for locations and info. * Shake Shack’s rainbow sprinkles are processed in a factory where possible cross-contamination can occur.